Yabba-Dabba Do! 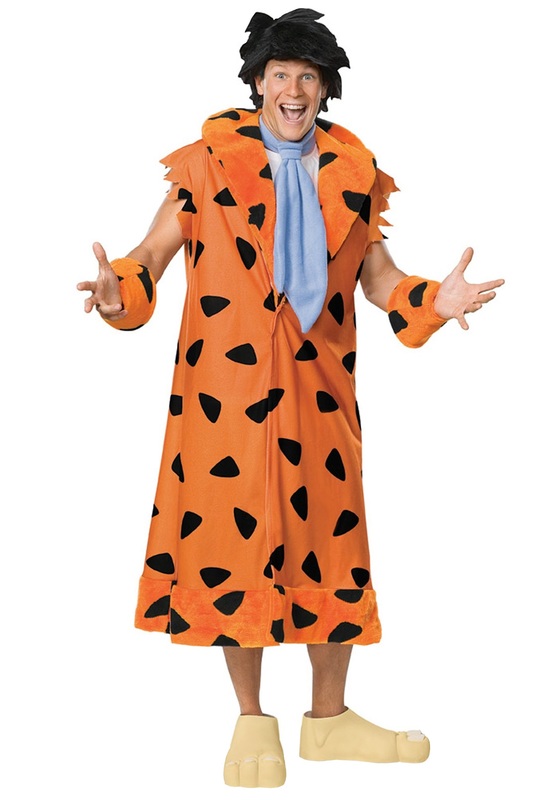 Fred Flintstone is one of Bedrock's greatest residents. He’s a larger than life character who’s ready for a wacky situation whenever you need him! This lovable caveman spends his days working at a quarry using his trusty dinosaur to bust down giant rocks. Once the time bird screams, Fred then heads home to spend time with wife Wilma and their daughter Pebbles. But every so often Fred does find himself in some interesting situations such as being in the world championship of bowling and also on the race track driving a race car. Though he was always finding himself in crazy situations, he remained lovable and loyal, especially to his family and his best friends, Barney and Betty Rubble. Barney was usually wrapped up in his crazy situations, too! Now you can give yourself a chance to become just like Fred in this great Flintstones inspired costume. This officially licensed costume comes with everything you need to transform into the funny and sometimes clueless caveman for Halloween. The bright orange and black polyester tunic has matching wrist cuffs to give you the classic character look. The baby blue tie is attached to the tunic so you don’t have to worry about tying it yourself! You wouldn’t be the caveman Fred was without the jet-black hair, so this costume comes with a ruffled black wig. Get the complete look when you put on the included large foam caveman feet. After all, you need something to drive that car, right? !